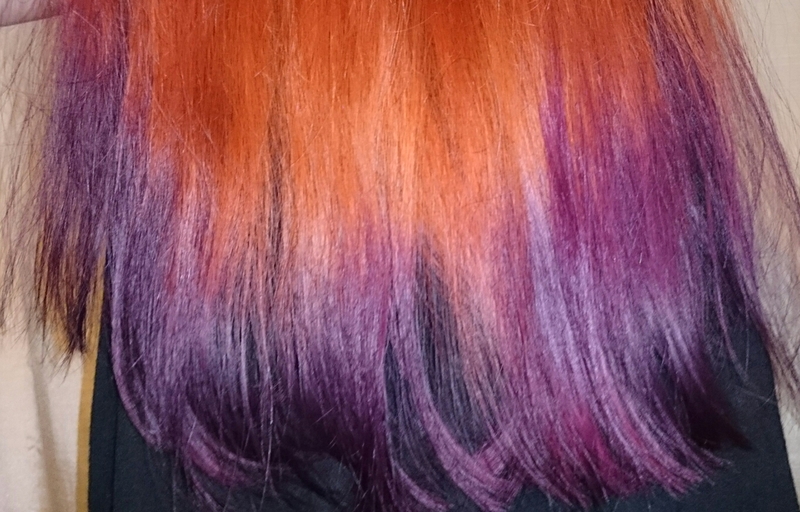 This entry was posted in beauty and tagged colours, dye, experiment, hair, hair dye, messy, purple. I like how it turned out. I’m getting mine done soon. I’m not sure what colors I’m going to use or how much of them I’m going to use. LOL. Wish me luck! Thanks and good luck!! 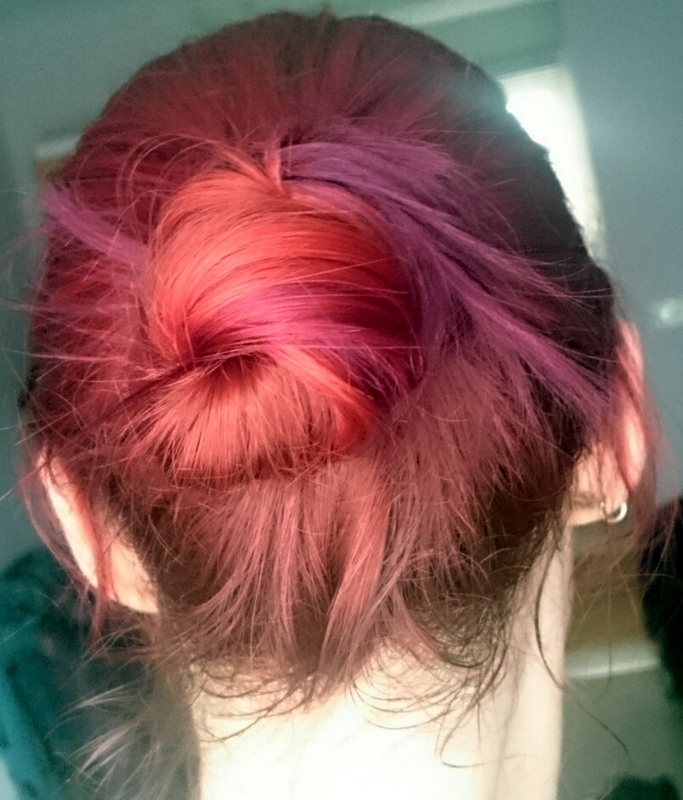 If I had a clean slate (no permanent red dye) I’d love to go blue, or teal but I’d never get the red out enough to get it to stick!